Tell us a bit about your background… I’ve been with the World Bank for 19 years. I have worked mostly in operations, in the front line. I worked extensively in the Latin American and Caribbean regions and before HR I was working in Africa where I administered a multi-donor trust fund… Nearly 3 years ago, I moved into HR to lead and coordinate the YPP as well as the Junior Professional Associates and Intern programs. Before coming to the Bank, I worked for another International Organisation in Washington DC for four years and before that I used to work in the travel industry in Argentina. It was quite a step from the travel industry to the International Public Sector – but there were a couple of common areas – the use of so many languages and being exposed to a diverse world. 1. What single fact would surprise people the most about you? I don’t think people realize just how diverse my background is – my grandfather was German, my grandmother South African with Danish and British roots; my other grandparents were Italian and I was born in Peru! I don’t always know what traditions to celebrate on the big family occasions! 2. What drives you in the morning? First of all, I really believe in the Bank’s mission and I have seen first hand the impact of being fast and efficient from my years working in operations. This is what I am looking for in candidates – someone who has a passion for international development – not just outstanding credentials. I believe that this kind of candidate will be successful – when their motivations are in the right place. 3. What are your proudest achievements with your organisation? The Bank culture is not an individualistic effort – it’s a team that you contribute in so many different ways. Trying to single out a moment is hard when you are always a member of a team. 4. Nicest fact/surprise about your organization / employer? People don’t realize the reach that the Bank has and the ample opportunities that the Bank can offer as an employer – we hire professionals from so many backgrounds – not just PhD economists. 5. What do you look for in candidates? I lead recruitment for the flagship Young Professionals Program and we are currently hiring! When I am looking for Young Professionals, passion for development, outstanding credentials and a belief in the Bank’s mission are all important. [Add link to the YPP] Apply for the World Bank Young Professionals Program: https://worldbank.org/ypp. We are hiring for other roles as well – come to the Global Careers Fair to learn more. 6. Most inspiring remark/answer from a candidate? For a lot of the people getting to interview with the YPP is a dream come true. They may have been studying for years to get the qualifications that we are looking for and this is a signal that all their efforts are being recognized. I’ve heard comments like “Wow, this is real, this is happening!” For us, the key thing is that the selection process is completely based on merit – regardless of our endless efforts in bringing a very diverse pool of candidates. It all comes down on how candidates have combined studies with their experience and interest. 7. Words of wisdom for your future applicants? Be persistent; find the many different ways you can establish some links with the World Bank and its practitioners and explore different avenues to get closer to the Bank. Be active – participate in our blogs and communities online. 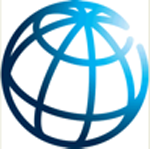 There is a lot to say about the World Bank and the more that you can engage with us the better.